Two of the biggest stories in the news today have something very much in common – they both demonstrate how the same event can be interpreted in different ways depending on your perspective. Take the Trayvon Martin case. Try putting yourself in George Zimmerman’s shoes for a minute. You’re a neighborhood watch volunteer in a gated community that has seen eight burglaries in fifteen months (according to news reports). You see someone wearing a hoodie, walking at a brisk pace. He appears out-of-place. To you he looks suspicious. Now put yourself in Trayvon’s shoes. You’re walking home to your temporary residence when it starts to rain. You throw the hoodie over your head and start to walk a little faster because it’s raining. Next thing you know you notice someone following you. You feel threatened. You walk faster. Finally, you turn and confront the individual. All we know about what happened next is that Trayvon was shot and killed. Now look at how the media reported this incident. The first thing they do is put up two very misleading images of both Trayvon and George Zimmerman. 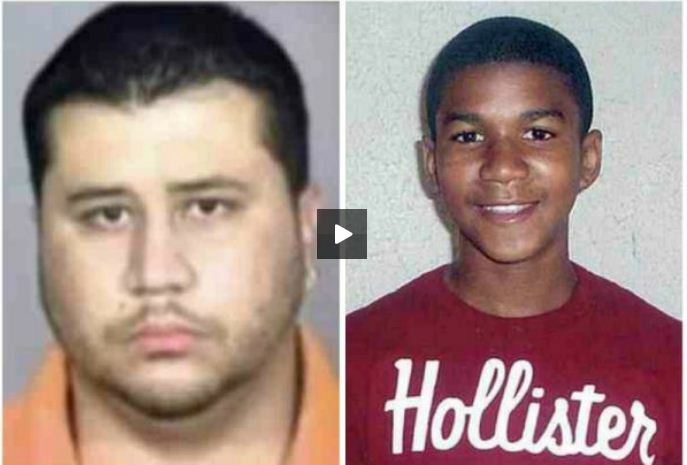 Anyone looking at the fourteen year old Trayvon paired against the older, heavier George Zimmerman sees an injustice. There’s no way that the fourteen year old shown could attack the older man. That was the perspective given by the family and the media. In reality, Trayvon wasn’t the fourteen-year-old pictured. He was seventeen. He was much taller and could easily have been the one who initiated the confrontation as George Zimmerman has claimed. I’m not claiming to know what happened. I’m just pointing out how Trayvon’s death could have happened exactly as George Zimmerman said it happened. Trayvon felt threatened. George felt threatened. And now we have politicians and celebrities calling for George Zimmerman to be arrested for murder without knowing all the facts. Next we have the case of Clayton Osbon, the Jet Blue captain accused of having a mental breakdown on a flight to Las Vegas. As a pilot myself, I am very much aware that you can have personality clashes with any crew member. It happens all the time. Now if I put myself in Clayton’s shoes I can see the incident from his perspective. He obviously has some kind of heated conversation in the cockpit with his co-pilot. I don’t know anymore than anyone else what that conversation was about. At some point I decide to go in back for a bathroom break. Normally the aisle would be blocked. I don’t know why it wasn’t in this case or if it was. 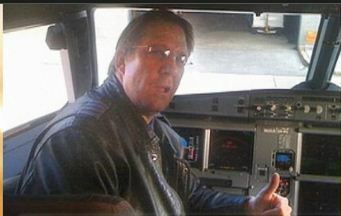 But in any case, at some point Clayton sees someone entering the cockpit that shouldn’t be there (this is what has been reported so far). I don’t care who you are, your first instinct would be to run to the cockpit as fast as you can to try to stop whoever it is who is entering the cockpit. If I then find that the door is locked, I would be pounding on that door as hard as I could. My instinct would lead me to believe that the two men on the other side of that door have nefarious intentions. I might even start babbling about Iraq and Israel, not sure who is behind this mid-air takeover. I would be frantic about what their intentions were. Now the passengers witnessing this obviously came to a different conclusion. From their perspective the captain is losing it. They physically restrain him. But what if it was the co-pilot who was completely out of line here. Locking the captain out of the cockpit is not something that you see every day. There had to have been a concerted effort between the cabin crew, the dead heading crew member, and the first officer. How did all of this transpire in the time it takes to go to the bathroom? The whole thing gets out of hand very quickly with the captain thinking that the plane is about to be flown into a building by the two nuts in the cockpit, but he is being physically restrained by passengers. I don’t know if this is what happened. But until I hear all of the facts, I’m not going to jump to conclusions. Like I said, how you perceive an event depends on your perspective.